In order to give you guys the best post everyday, I always devote ample amount of time to do the grinding and what I mean by that is the research part. Although I usually get by after hours of researching and a little bit of luck, but this challenge already became part of my job as a content writer for this site. A big idea just hit me today though. I always choose something normal as “the” subject out from the hundreds out there making sure that I never had previous post about it which makes that subject unique. I forgot that in order to get a sure-shot unique subject, I don’t need to search for something I didn’t post yet rather find something that is already unique in nature. Today’s featured subject is one of the best example there is. What I have for you guys today are tattoo designs inspired by… wait for it… a unicorn. See what I did there? Yes, all this time, all I need to have is a cute unicorn to liberate me from the drains of research. 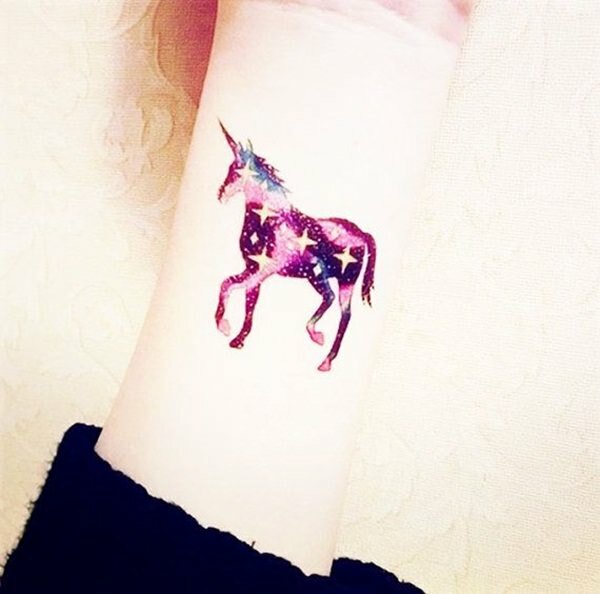 Anyways, here are at least 30 of the best and cool unicorn tattoos out there. I’m pretty sure these are unique tats since first and foremost, unicorns are mythical creatures that the young ones and the young-at-hearts wants to believe its true. I don’t blame them though since seeing a unicorn in real life would totally be mind blowing. Enjoy the rest of the tattoos guys!